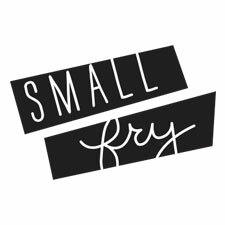 We just had our one month anniversary here at Small Fry and, how rude of us, we haven’t formally introduced ourselves! You can read more about each of us here at our “Who’s In Charge Here” page, but what’s more telling than our go-to Mamattire? The things we throw on without thinking, feel great in, and can tackle our days no matter what’s on the agenda. I wear a messy top-knot more often than I care to admit, but it works for me! I love to have warm accessories on hand that are easy to take on and off to accommodate the bi-polar Fall temperatures. After having two babies sixteen months apart, I like to hide my post-baby-baby tummy with loose fitting tops, and always have a hair elastic close by on my wrist. These black waxed denim trousers look like leather, giving me an edge, but move like leggings. These moccasins are perfectly comfortable, slip on and off, and can take a beating, which I love! Don’t roll your eyes, but I am an eyelash extension loyalist. That extra expense saves me so much time and money because I don’t feel like I need any other makeup! A swipe of bronzer and thick batting lashes are all a girl needs! For the rest of the ensembles I love a crisp button-down and a warm top layer like this cardigan, a jean jacket, or a wool coat. The button-down allows for some room to breathe right after a baby, is perfect to nurse in, and while I am neither of those things anymore, it’s a versatile blouse that grows with you! I love a good pop of color and these cropped jeans are heavy in the rotation. I am in flats for every occasion, and classic ballet flats make me feel instantly chic and put together. My perfect fall look is usually a combination of the following: the Tippi sweater, in every color, is so well-made it doesn’t bunch, ball, or puddle. It looks polished all day long and the 3/4 sleeve is so slimming and feels just a hint more formal so I can go from the playground to a nice dinner with ease. My go-to accessories are a sleek watch to keep this mum prompt, and some dangling earrings. I love the printed pants trend and how much interest it adds to a simple outfit, and you can’t beat the versatility of a good leather sandal. Easy to kick on and off, so it doesn’t get in the way of wrestling with my boys or leaving the dust and dirt of the day on the porch. If you’d like to submit a picture of your own Mamattire to Small Fry, email us at hello (at) smallfryblog (dot) com. Include 1-3 photos, outfit credits, and some info on why it’s your go-to and you could be featured here or on our Facebook page! For Emily, Nicole and Jenna’s outfit credits keep reading! You ladies look so stinking fabulous!!! You all are so cute! I’ll think about submitting to this series, but I’m just not sure I’m in the same league! I got my eyebrows tinted and lash extensions done before we went on holidays and I found them amazing. Quick splash of base and blush and I was ready to face all the stylish women of France. The perfect post from all you mamma fashionistas! Love the behind the scenes mama looks. The blog has such great kids fashion and (amazing) ideas for childrens activities that I just KNEW you all looked great as well! Does a bikini count as mamattire? If so, I’m in. My mommy uniform is not nearly as pulled together I feel inspired to step it up! I am pretty new to Utah Jenna who does those eyelashes of yours? And Nicole who does those locks of your? And Emily we will definitely be wearing twin shoes love them! i’m sure you look great! to be honest i (jenna) threw on this outfit in literally 30 seconds. if you just have some essential pieces in your closet–you’ll do great! kylie gray does my lashes and is AMAZING: 801.602.9191 and lindsay catano at Amara Day Spa does Nicole’s beautiful mane! Hey! I have a skinny little guy and have trouble finding pants that fit him right. I was curious where the jeans are from on the little boy in the first picture?? Thanks!